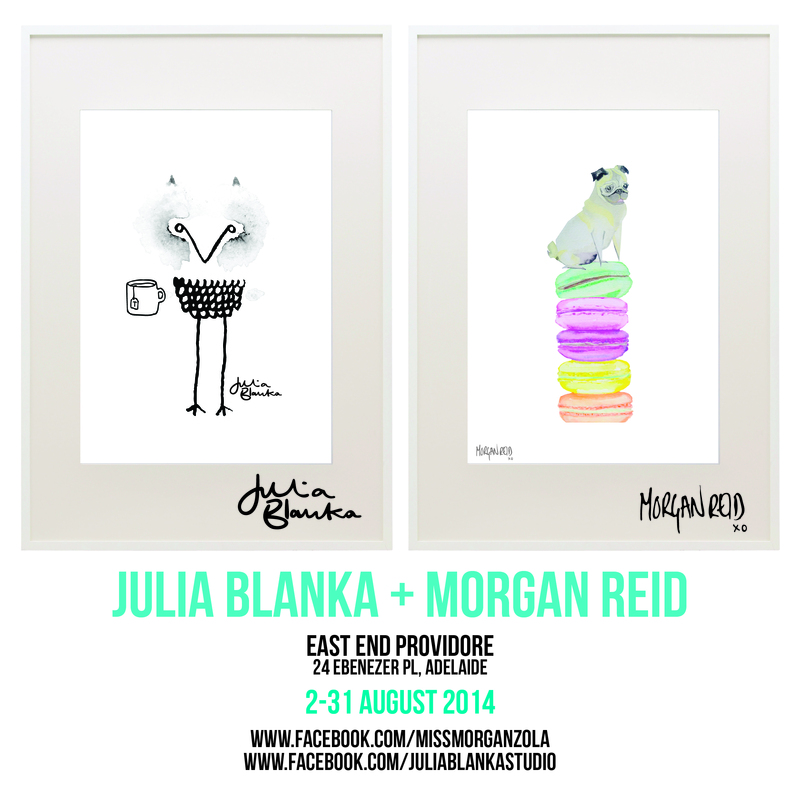 I’ve recently partnered with delightful fellow illustrator, Morgan Reid to exhibit some of my newest illustrations at the scrumptious East End Providore at Ebenezer Place, Adelaide. The exhibition is open until 31 August and all art is available for adoption. I hope you can make it!